Sneezing, sniffling, coughing, snorting… ahh, the sounds of spring. I gotta say, I haven’t laughed like that in a long time. It took me quite a while to explain to the guy that hay fever isn’t what you get when you puff up too much pot – or when you hit the hay too much. But surprise surprise, the joke was on me. When the guy went to the hospital the next day, turns out he really did have hay fever! I couldn’t believe it. So I decided to chalk up this segment in an attempt to discover what this Fever of Hay (as Thor would call it) is all about. So why don’t you join me as we find out what exactly hay fever is and how it present itself in the body. We’ll also delve into some of the common causes of the fever and if we can do anything to prevent them. As always, I’ve got all the medical treatments that are currently in action as well as safer, more effective natural treatments. That’s right, it’s Olivia’s ultimate guide to everything you need to know about hay fever. Also called allergic rhinitis, hay fever can be described as a kind of inflammation that occurs when your immune system hyper-reacts to certain airborne allergens. As a result, patients may experience sneezing, coughing, itchy, red, and watery eyes as well as a stuffy or runny nose with sinus pressure. Hay fever actually affects over 30% of people worldwide, including over 20 million Americans. 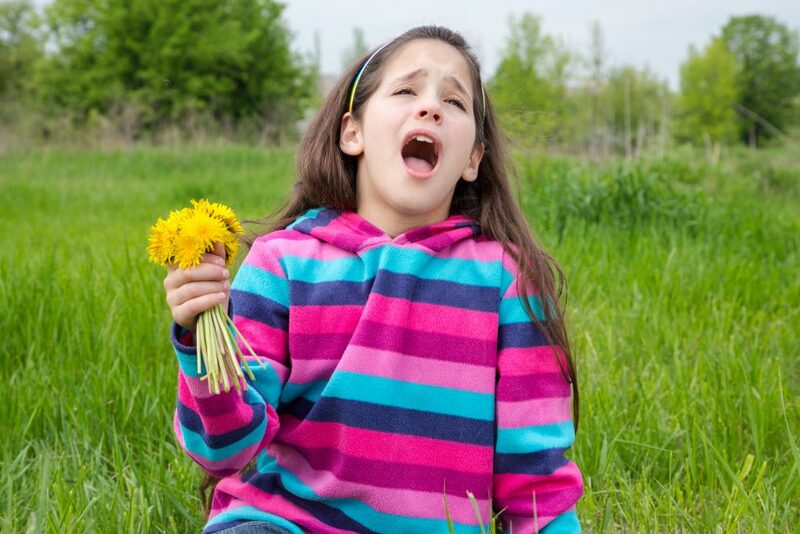 As I was trying to explain before, hay fever is a misnomer – hay (or grass) is not the usual cause of the disorder and neither does it cause a fever. However, early descriptions of nasal congestion by farmers while harvesting hay out in the field may have promoted this highly popular term. As always, you can rely on pharmaceutical giants to turn a simple condition into a billion dollar industry. Thanks to prescription meds, hay fever is now a $4 billion industry – a large underestimation since most people with hay fever start off by taking medications for colds. Hay fever is usually worse and frequent at around March and September – that’s when it’s incredibly warm, humid and windy. Typically, many people confuse the symptoms of hay fever for a common cold – and for good reason. I mean, what are you going to think if you’ve got watery eyes, sneezing fits, nasal congestion, and a runny nose? However, hay fever has a couple of symptoms that give it away including middle ear effusion, swollen nasal turbinates, eyelid swelling among others. Here’s a comprehensive list of all the symptoms of hay fever to watch out for. The main cause of hay fever is usually an allergic reaction that occurs when your immune system attacks what the doctors call an allergen. Of course, everyone has an immune system that fights off allergens. However, some people have an unusual amount of antibodies that overeact to allergenic substances. These allergens could be anything from environmental factors such as pollen, mold, dust and pet hair. So when these substances invade your body, your immune system overreacts by flooding your system with chemicals such as leukotrienes and histamine. These chemicals inflame the lining of the nasal passage, eyelids, sinuses, and set the stage for other symptoms such as coughing, sneezing and excessive mucus production. But as always, most if not all of these symptoms are designed to protect your body in several ways. These include either trapping the allergens before they cause damage or expelling them by swelling areas such as the nose. In some cases, hay fever is an inherited trait. The majority of people with hay fever often have parents or siblings with allergies. Aside from genetic doctors, some of the common environmental factors and primary causes of hay fever include tree, flower and grass pollen, dust mites, mold, fungi, perfume, cigarette smoke, and pet dander. So in a way, grass, weed, and smoking could have all been the causes of our stoner guy over here getting hay fever. If you’re prone to hay fever or have no idea what the triggers are, the first obvious step is to try and stay as far away from all the common allergens. This includes quitting smoking, and not bringing flowers to your hot date anymore because they could have pollen. Also, keeping your house clean and free from dust mites really plays a huge part (this one’s a surprise), your perfume or favorite cologne could be the hidden culprit and cause of all your suffering. 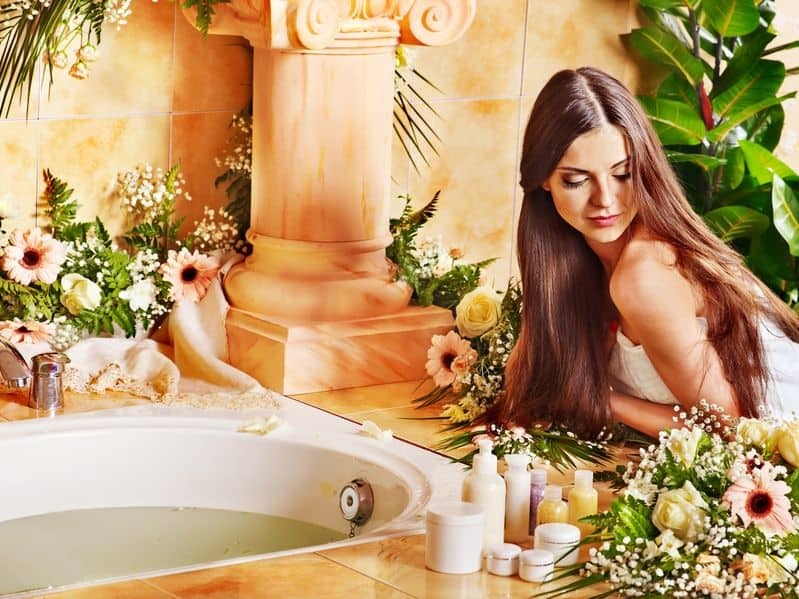 So you might want to keep everything scent free – yeap, that includes your soaps. And lastly, pet owners this one’s for you. If you’re always coming down with the ol’ hay fever and have cats, dogs, hamsters, koala’s, orangutans, or any of those other goddamned modern furry pets you guys keep these days, then they could be the obvious culprit. Now, I’m not saying that you don’t have to be a pet owner anymore…. but how about getting a fur-free, featherless, and hairless one instead (like a reptile, lizard or something). Another extreme way that professionals actually advise is to wear a mask. Of course, no one wears doctor’s mask out in the streets anymore – so I’ll show you Olivia’s easy DIY essential oil barricade to trap dust, pollen and other irritants before they make it in your breathing system. But first, let’s look at how the medical professionals deal with hay fever – by bombarding you with prescriptions. These drugs are usually taken orally or nasally to control rhinitis symptoms like itching, sneezing, runny nose, among others. The only good thing about these antihistamines is that they can be used before exposure such as for seasonal allergens. But as with all meds, antihistamines can also have horrible side effects. This includes overwhelming drowsiness; so operating heavy machinery or driving might be ill advised. Who doesn’t love a couple of steroids now and then, huh? Nobody – but that doesn’t stop medical professionals from prescribing corticosteroids with the aim of controlling itching, nasal congestion, rhinorrhea and sneezing. While safe and effective at first, corticosteroids become counterproductive when used for too long. Honestly, I don’t even have a name for this one; it’s just something doctors do. Most people who go to the hospital with hay fever can get misdiagnosed for a cold, so you’ll get a barrage of medicines to cover a wide range of issues. These include decongestants, antagonists, cromolyn, among others. And that’s just the daytime; they got a whole other list for the night. Nocturnal symptoms get a nightly dose of oxymetazoline, antihistamine nasal sprays and adrenergic agonists. 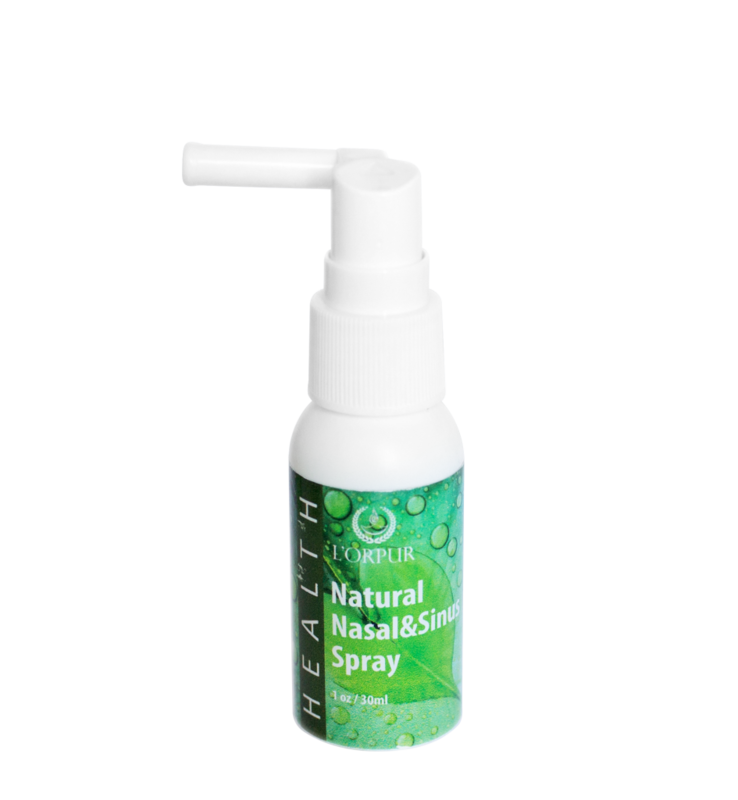 Instead of resorting to some of the medication, have you thought about a Natural Nasal and Sinus Spray to help with the symptoms of hay fever! 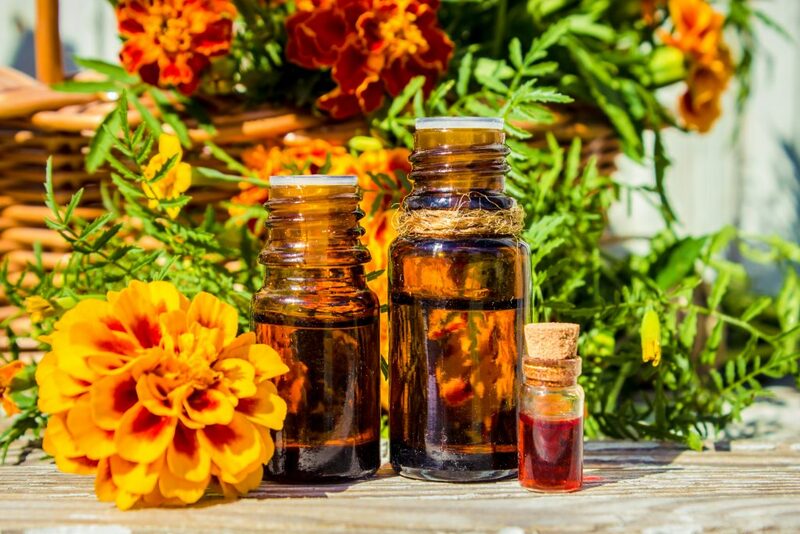 Can Essential Oils Help With Hay Fever? You Bet! Also called ethereal or aromatic oils, essential oils have been helping out numerous civilizations for centuries. These life-giving oils provide a highly concentrated and health packed essence of the original plant’s, fragrance and medicinal properties. To be honest, OTC decongestants and daily doses of antihistamines just aren’t for everyone. Apart from being utterly unnecessary, some of these drugs can have unsympathetic and damaging side effects such as headaches, more congestion, and in the case of corticosteroids – counter-productivity. 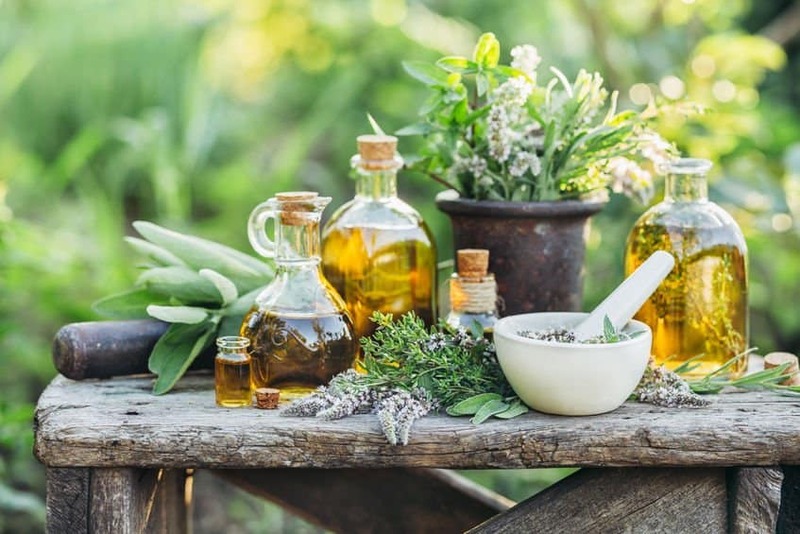 Essential oils on the other hand are full of medicinal properties that not fight the nasal and eyelid inflammation associated with hay fever, but they also give the immune and respiratory systems a much-needed boost for faster recovery. The right EOs will also help the body fight off common allergies, microorganisms, parasites, and other harmful irritants that could be triggering the hay fever. 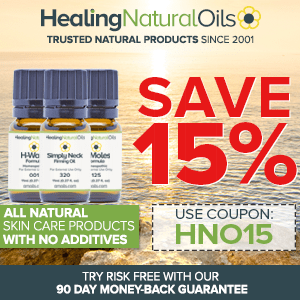 Ad it doesn’t end there, these magical oils improve blood circulation for better oxygenation of tissues in the nasal cavity to bring down inflammation. As always, my search of the best EOs for the job leads to hundreds if not thousands of ethereal oils. I’ve rounded up only the most suitable oils for the job just for you. Ever asked yourself how inhaling just a little minty essential oil can clear nasal runs and blockages? Turns out that peppermint is exactly what all the doctors order for respiratory related conditions. You want a cough drop or lozenge? Chances are its got peppermint in it. Used correctly, peppermint EO has the power to expel both mucosa and phlegm, allow for quicker healing and calm irritated and inflamed airways. Bustling with antiseptic, antispasmodic, anti-inflammatory, sedative, antibacterial and heat-sapping properties, this oil packs a dozen punches when it comes to treating hay fever. Research actually shows that peppermint inhibits histamine release to control allergic reactions. In addition to repelling hay fever, peppermint will help with allergies, colds, sneezing, sinusitis, among other cause of hay fever. Used for well over a century by numerous civilizations, this one’s quite a remarkable oil. Tea tree is primarily used due to its strong anti-inflammatory and antiseptic compounds that make it ideal for hay fever. With its fresh, warm, camphoraceous aroma, tea tree already works wonders when it comes to addressing allergens – a major cause of the fever of hay. Tea tree essential oil actually destroys airborne pathogens that could trigger allergies such as fungi, mold, bacteria, and other microorganisms. If we’re talking about anything to do with your nasal passages and opening up those airbags, nothing beats the extra potent components of good old eucalyptus essential oil. Studies actually show the oil contains a special ingredient: 1.8-cineol or eucalyptol. It’s packed with potent anti-inflammatory, analgesic properties as well as a strong expectorant that rids your body of harmful allergens and microorganisms all while clearing any buildup of mucus. If you want to soothe some of the ravages that come with hay fever, then you’re going to need the healing effects of chamomile in your life. Packed with an entire host of anti-allergenic anti-inflammatory, and analgesic properties, chamomile EO eases nasal and eyelid inflammation while addressing most of the pain and discomfort associated with hay fever. And if you’re prone to getting seasonal hay fever, then boy will you love this – Roman Chamomile actually boosts your immune system making you far less susceptible to getting the fever in the first place. So if you make the oil your friend early on, you could even bypass the whole sick, inflamed phase. There’s a valid reason why lemons are hands down the number one home remedy for pretty much all things respiratory. When it comes to hay fever caused by infection and allergens, then you need an oil packed with potent antibacterial, antimicrobial, antiseptic, antifungal anti-inflammatory, and detoxing properties. Research actually shows that lemon essential oil not only inhibits harmful organisms from entering your body, it also helps the vulnerable lymphatic system in overcoming a crowd of respiratory health issues – and all this while removing harmful toxins from your body for faster healing. Sought from the Cinnamomum tree, this EO is also a must have if you’re dealing with another underlying problem that could be causing your hay fever. Used well, camphor EO will help protect the nasal passages from inflammation, blockages, running, and even cure headaches. So you’re planning to travel during the hay fever season or just want to make through without falling ill, make sure you bring Camphor EO along for the ride. You can grab the L’orpur Organic Kit which contains 4 of the above EO, with the bonus 5th EO being bulgarian organic lavender, all in a cool carry case plus a recipe ebook! If you’re always getting seasonal hay fever, or want to finally get rid of that pharmaceutical asthma inhaler you might want to think about buying one of those neat essential oil inhalers. For this one, I chose only the oils that should work perfectly for the inhaler. Of course, roman chamomile had to be the star due to its host of anti-allergenic anti-inflammatory, and analgesic properties. The entire blend will help ease nasal and eyelid inflammation while addressing most of the pain and discomfort associated with hay fever. The blend will actually boosts your immune system making you far less susceptible to getting the fever in the first place. To use this recipe, combine all the oils in a bowl and mix them up. Next, take out the wick from your EO inhaler and dunk it in the blend so it can absorb all the oils. Return the wick in the inhaler, cap tightly and then use it anytime of the day when the symptoms of hay fever become unbearable. 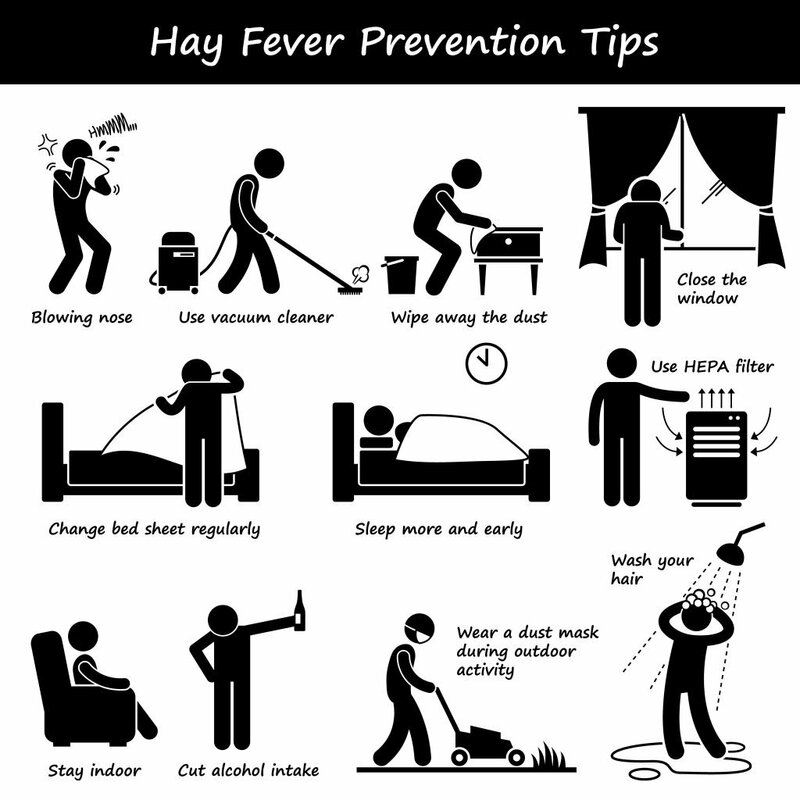 This here’s a topical application that should allow you to avoid hay fever, or treat it if you already missed the prevention phase. As always, peppermint EO is what all the doctors ordered for respiratory related conditions. It’s already present in most lozenges and cough drops, to expel both mucosa and phlegm, allow for quicker healing and calm irritated and inflamed airways. Research actually shows that peppermint inhibits histamine release to control allergic reactions. So when combined with lemon and lavender, you’ve got a fool proof recipe for preventing and treating hay fever. Start by combining all the oils in the dropper bottle and top it off with fractionated coconut oil. Apply the oils on the temples, chest, back of the neck, and take a nice whiff every once in a while too. Like I always say, the best thing about using EOs in your bath is that you dilute them completely and avoid any risk of exasperating sensitive skin. This one’s simple – Draw your bath as usual before dropping in all the 40 drops of EO goodness as indicated (dilute the EO in a few tsp of milk). Don’t forget the Epsom salts now. Next, stir with your arm to get a consistent mixture and soak in for about half an hour. Your body should begin feeling the decongestion, anti-inflammatory and detoxification properties of this hot soak. Time and time again I’ve always insisted on the importance of having a diffuser if you suffer from any respiratory condition. 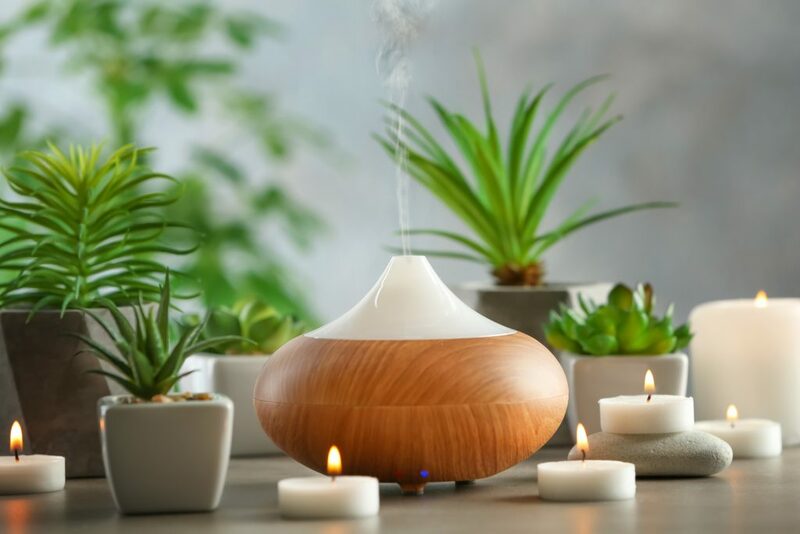 Be it asthma, allergies, hay fever, bronchitis, pneumonia or any other respiratory issue, a diffuser could be the difference between a quicker recovery or recurring attacks. To make use of this diffuser recipe, start by dripping all the oils in your diffuser and using it as normal. Note that tea tree is crucial to diffuser recipe because in addition to killing allergens in the air, it also keeps the diffuser free from bacteria. The lemon also plays a similar role thanks to its potent antiseptic properties while the lavender or peppermint tie the whole thing up with a lovely scent. With hay fever, shortness of breath is always a day and night issues. So if you got it, you should expect some very annoying clogging. To make sure all the airways are wide open and more than fully functional, this here DIY vaporub is a life saver. To start, grab a massive mason jar and pour in the beeswax to get it melting. All you need is some hot water to sit the jar in and you’re good. Stir properly to mix all beeswax and slowly add in the essential oils as shown above. Next, you pour the blend into tiny sized moulds and let them cool. 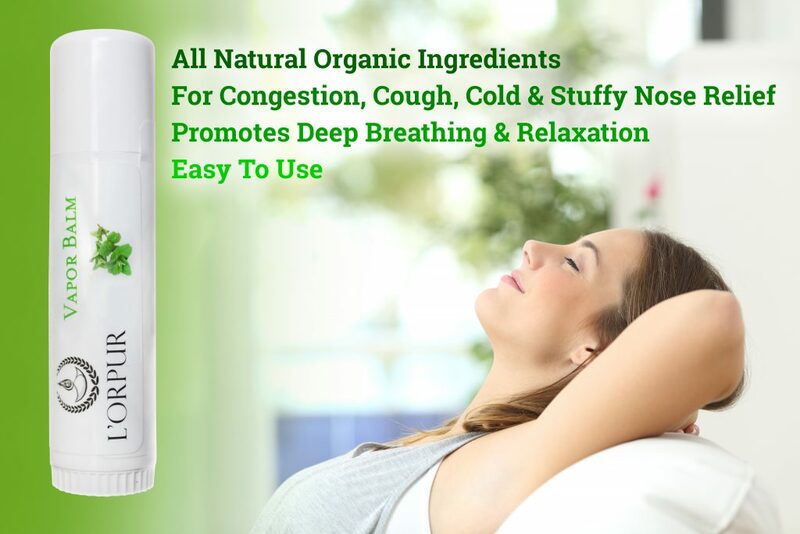 Well done, now you have a super effective and all-natural vapor rub that will not only soothe the eyelids and nasal cavity of inflammation, but also act as an expectorant to improve your breathing. Use this natural vaporub blend by dabbing it on your temples, behind the skull and under the nose for unremitting inhalation. You can use the L’orpur Vapor Rub if you don’t feel like making one up. 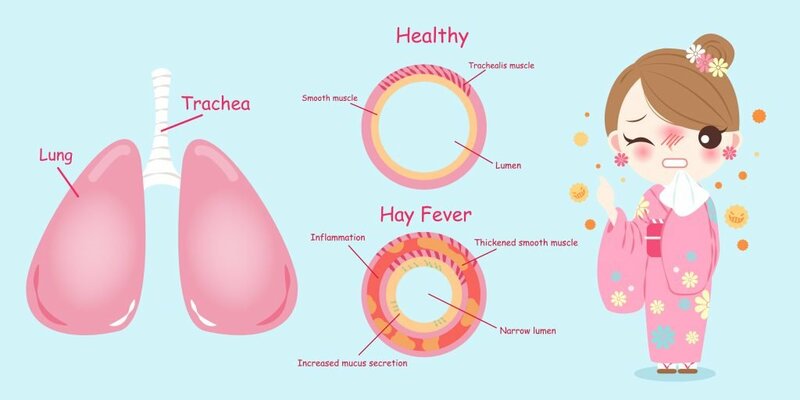 There you have it my lovely Olive Nation – everything you need to know about Hay Fever all neatly wrapped up in one segment. Hopefully, preventing and treating the condition should be that much easier now. And we’ve all learned something new here; and that’s that Hay Fever is neither caused by hay, nor is it an actual fever. Just goes to show you can’t judge an ailment by its name. Very thorough article and chart about hay fever. Changing the bed sheets regularly is a great tip. Plus it prevents bedbugs! Cheers, thanks for the tip. I think these essential oils works for simple colds too. When I was young I remember my mom prepared a steam inhalation with oil in it, I just wasn’t sire if it was camphor or mint. But it has that minty smell that relieves clogged nose. I’m starting to believe oils have a fix for everything. I like that there are such natural ingredients to deter from hay fever. The lemon and eucalyptus sound especially potent and refreshing. Thanks for sharing. My pleasure. 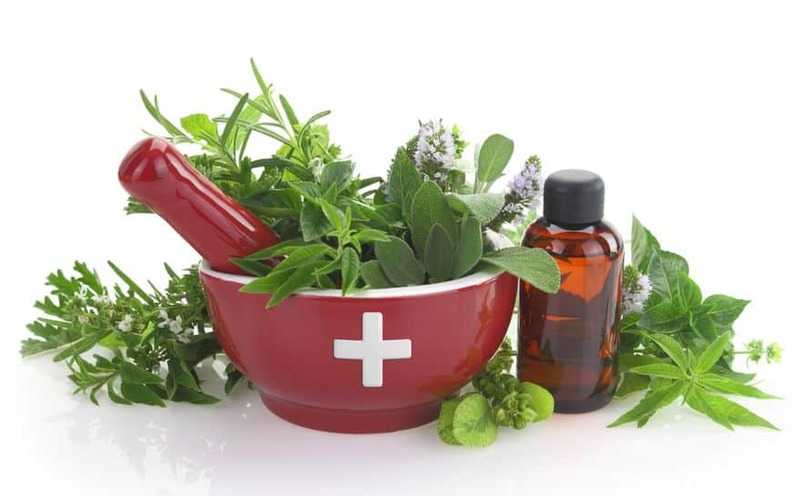 Essential oils are a great natural alternative treatment for various health ailments. How do you know if its hayfever or a common cold. Very useful info by the way! Its simply comes down to one main thing…itchiness. If you have red, watery, itchy eyes, it’s most likely hayfever as these symptoms are not often experienced with a cold.